Dry Fly Straight Cask Wheat Whiskey...$49.99Dry Fly introduced the first 100% Wheat Whiskey to be offered in the US in close to 100 years. 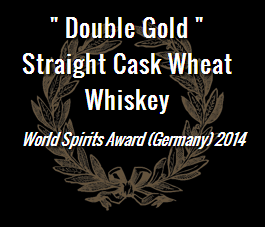 This cask version at 120 proof (it’s barreling strength) proves that a wheat whiskey can be big and bold. Take a sip, cast a line, and enjoy those amber waves of grain. You can request the bottle number in the notes if you order online and if we will confirm that we still have it. 11, 13, 43, 45, 75, 77, 107, 109, 139, 141, 171, and 173. Some hidden gems at our BALLWIN location. Limited supply in stock now. 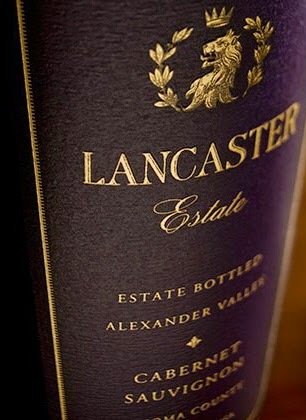 Lancaster Estate's 2009 Cabernet Sauvignon is a huge, dark wine endowed with serious power and richness throughout. Grilled herbs, smoke, tobacco and incense all wrap around a serious, intense core of black fruit. A muscular, virile Cabernet Sauvignon, the 2009 needs another year or two in bottle to fully come together. Hints of graphite, menthol and road tar add further complexity. The 2009 is brooding and even a bit somber, but beautiful. Anticipated maturity: 2014-2024. I continue to be deeply impressed with Lancaster Estate. The winemaking team, headed by Jesse Katz and consulting winemaker David Ramey, is hitting all the right notes. (85% new French oak; malo in barrel; from vines averaging 36 years of age, according to winemaker Brennan Leighton): Dark ruby-red. Rich aromas of cassis, fresh herbs and chocolate. 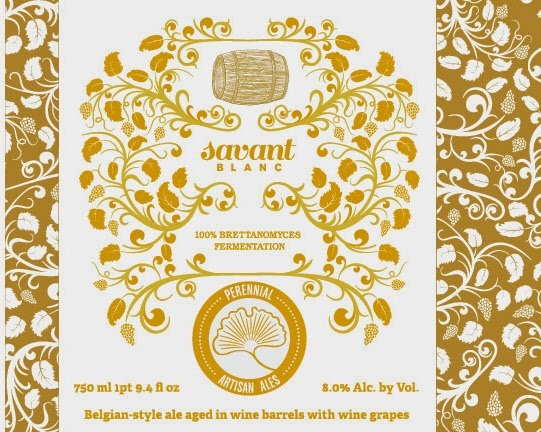 A large-scaled fruit bomb on the palate, with a a complicating saline character to its boysenberry and blackberry fruit flavors. Shows a more successful integration of tannins than the Final-Final. Finishes chocolatey but not particularly sweet. At the top of heap, the 2010 Cabernet Sauvignon Big Papa - Old Block is all Cabernet and spent 20 months in 80% new French oak. Incredibly rich, layered and pure, it boasts first-rate aromas and flavors of creme de cassis, toasted bread, coffee bean and mint as well as a full-bodied, elegant and thrillingly textured mouthfeel. The quality of tannin here is superb and while already approachable, this beauty will continue to shine for another 10-12 years. Drink now-2025. The 2009 Antiguos Vinedos comes from four small plots cropped at 3,500 kilogram per hectare, a selection of old vines then raised in new and used oak for 14 months. It has a startlingly fresh bouquet with wild strawberry, raspberry leaf and crushed stone, straight out of the mid-slope of Burgundy (in a warm vintage!) The palate is medium-bodied and very tightly wound – you can feel the tension in this wine. The finish is actually curt and abrupt, but you can sense it unfurling with time and there is a lovely spicy touch on the aftertaste that keeps you coming back. Sublime. Drink now-2020. 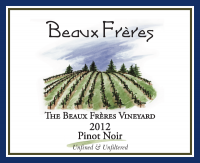 A deeply scented, perfumed wine, the 2011 Pinot Noir impresses for its nuanced personality and sheer detail. Dark cherry notes lead to plums, cloves, menthol and crushed rocks. The 2011 is all about delineation, nuance and freshness, all qualities that are very much present in the glass. This is a terrific first effort from Champs de Reves. These vines were only planted in 2006. It will be fascinating to see what develops here in the coming years. Anticipated maturity: 2013-2019. 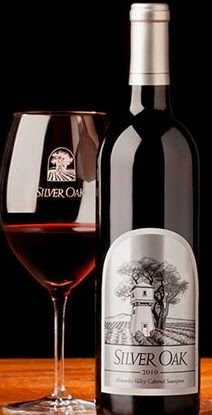 On the reds, the 2010 Wildebeest is a solid value and a blend of 77% Syrah, 14% Cabernet Sauvignon and 9% Cabernet Franc. Aged mostly in older barrels, it has a decidedly up-front, perfumed and supple profile that’s hard to resist. Notions of black cherry, exotic spice, pepper, violets and leather all emerge from the glass and the wine is medium-bodied, beautifully balanced and sweetly fruit on the palate. It won’t make old bones but delivers classy aromatics and a delicious, easy drinking mouthfeel. Enjoy it over the coming 4-5 years. Drink now-2017. Bright violet color. Explosive, seductively perfumed aromas of black raspberry, potpourri, smoky Indian spices and cola, with an intense mineral quality adding lift and focus. Sweet, penetrating and deeply concentrated, offering an array of red and dark berry flavors and suggestions of five-spice powder, mocha and candied flowers. Reaches every corner of the palate, showing a suave blend of richness and vivacity, with no rough edges. Finishes spicy, smoky and extremely long, leaving an alluring dark berry liqueur note behind. Veuve Clicquot ROSE on sale now! 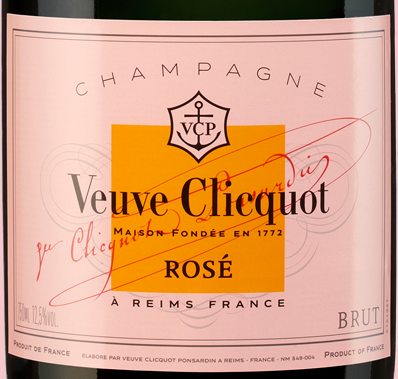 Veuve Clicquot ROSE on sale! We are proud to introduce to St. Louis, Maison L'Envoye! These are stunning wines at amazing prices! 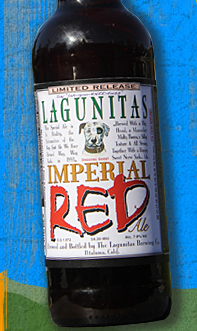 This Special Ale is In Reality, the Exhumation of the Very First Ale We Ever Brewed Way, Way Back, in 1993. 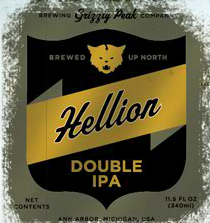 Brewed With a Big Head, a Muscular Malty Thorax, a Silky Texture & All Strung Together With a Hoppy Sweet Nerve Sack… Ick. A dank and roasty treat. Back again in bombers. Cheers! Charkoota Rye is a Smoked Rye Dopplebock. 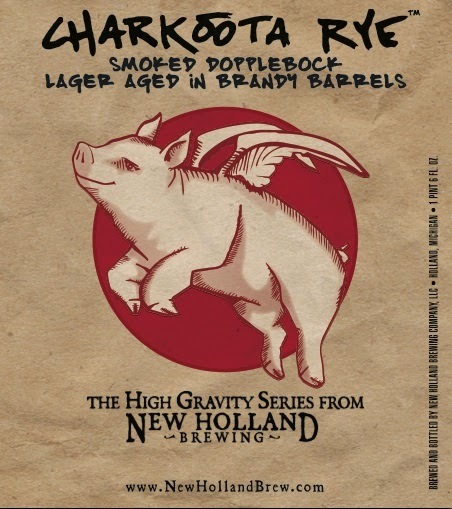 An homage to all things Pig, including Porkapalooza and the age-old tradition of Charcuterie, Charkoota Rye’s malty backbone is derived from a blend of rye and four other malts, including malted barley smoked over cherry wood by our very own brewers, John and Jeff. 19° Plato, Alc. 7.75% by Vol. In the 18th Century, Imperial Stout was first brewed in London for export to the court of Catherine II of Russia. The beer had to be robust enough to maintain during transport. This beer will continue to age well in a cool dark place for several years, but it is ready to enjoy now. BRC Emails sent to those that qualified. As an artisan distillery, we are constantly experimenting with new ideas for spirits and cocktails. In addition, we occasionally collaborate with our friends in related businesses. We have made a series of limited edition spirits, called our Limited Releases. Each has developed a cult following, and has been something totally unique. Inspired by friends in the brewing world, our distilling team created an abstract interpretation of that classic summer staple, the Hefeweizen beer. Rather than simply distilling a beer, we distilled hops and other botanicals and blended them into a wheat whiskey we made specifically for this endeavor. With delicate hop, fruit and wheat character, this spirit presents the classic summer flavor of a wheat beer in an entirely new way. Langley’s No.8 is a unique gin made with our own secret blend of 8 botanicals, harvested at their freshest. It is hand crafted & distilled in a small English-produced pot still. Blended by expert craftsmen with 100% English Grain Spirit and delivers a smooth, rounded finish with just the right balance of alcohol. Langley’s No.8 has been painstakingly developed to deliver the perfect G&T and delivers equally well with all tonic waters. The blend & split of the 8 botanicals, English Grain Spirit and the strength at 41.7% ABV allows the classic gin flavours to come through, whilst still allowing the right level of quinine/tonic flavour. A perfectly balanced gin of classic taste - what better for the most quintessentially English of drinks, the Gin & Tonic. We’re passionate about gin. It’s this passion that has fuelled our fervent desire to develop a perfectly balanced, elegantly understated English gin for the discerning, sophisticated consumer. Eight secret botanicals have been scientifically and lovingly hand crafted & distilled to create a smooth, lingering and yet robust flavour profile unique to Langley’s No.8. The split & blend of botanicals, the selection of grain spirit and the alcohol strength were the key components we had to perfect for that balance to deliver a classic, timeless Old English style gin. Our Master Distiller - His care and attention is indispensible. Our Distillery Director - A leading expert on gin who sits on competition judging panels. Our blenders and bottlers - With several generations and centuries of producing gin, they are respected & renowned across the gin world. To make Langley's No. 8 we use “Connie”, an English produced small copper pot still made in 1960 by John Dore & Co (the oldest pot still producers in the world). This enables consistent, small batch distillation for the optimum quality. Traditional methods, family values and generations of experience go into every small batch produced, hand-crafted bottle of Langley's No.8 gin. The first crucial part of our quest; which botanicals, how many and the balance of them? This needed perfecting to get that classic flavour profile. We’re proud to have created a truly bespoke gin as a result of the perfect balance of 8 secret botanicals. As any true gin aficionado knows, the distillation process is incredibly important to achieving taste perfection. Using a single distillation in the smallest pot still that we could possibly use and adding no cosmetic botanicals or additional flavouring during or after the distillation, the resulting product is a pure, premium gin that we’re proud of. 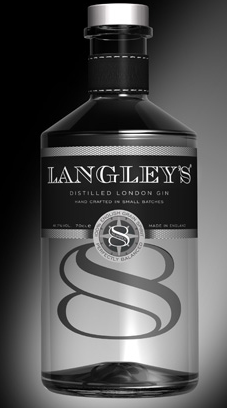 Langley’s No.8 delivers to the senses spice, aroma and zesty sweetness. These harmoniously complement each other for a marriage of flavours that dance on the tongue with enticingly pleasing drying length on the palate as it is savoured, collectively delivering a big balanced gin. Creating a smooth gin that consistently delivers on flavour in each and every bottle is a true science. Blending the botanicals with the best grain spirit is the crucial next stage. We could have sourced our grain from anywhere, but we were passionate that our gin should be as quintessentially English as possible, thus we only ever use 100% English grain spirit. This delivers a more neutral, consistent profile, enabling the true flavours to come through. Langley’s No.8’s blend of complex and rounded flavours makes it the perfect gin for a quintessentially English G&T or a Gentleman’s Martini. The final element for the perfect balance was to get the strength to deliver that anticipated balance whilst still allowing the classic notes of the botanicals to come through. We tested every ABV percentage decimal point between 40% - 45% to determine which would give enough balance of alcohol without overpowering the gin, thus ensuring that the true flavours we were striving for came through, either when drunk on its own or mixed. After testing 12 different samples selected with our team of experts (including our tasting panel and consumer research panel) we concluded that the 8th batch (at 41.7% ABV) was the finest. This was selected as our final gin and the one to take forward, produce and take to market. And the rest, as they say, is history. The only drink for the perfect evening, Langley’s No.8 is THE gin for those who appreciate pure, classic, traditionally created gin. So, what are you waiting for? Relax, unwind and enjoy the gin revolution. 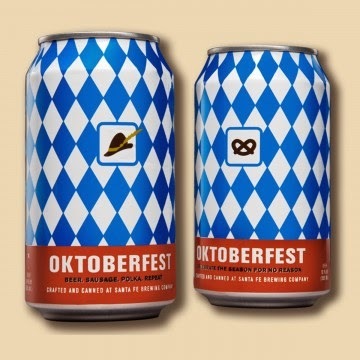 Though it is not necessary to drink this beer out of a mug that is larger than your head while dancing to polka music and wearing your lederhosen, you will find this lager's unbridled festivity difficult to resist. This ode to Germany's classic fall lagers is as clean, clear, and quaffable as any that has ever weighed down the table of a German Beer garden. The crisp maltiness of classic Munich malt compounded with the delicious notes of Bavarian hops gives this clean-finishing beer just the right flavor for the end of the summer. 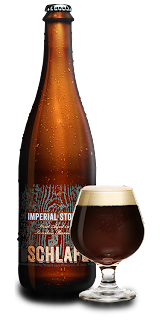 The devil is in the details: 99.9 IBUs. Amarillo, Cascade, Simcoe, Fuggle and Chinook hops. 9.99% ABV. But these are only the tools that will damn your palette to eternally covet the brew. The true decit is how they're wielded. 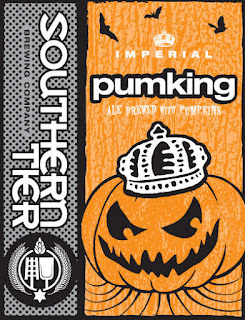 The massive hop additions specifically timed throughout the brewing process imbue a potent bitterness, but also an uncommon smoothness, complexity and robustness only Satan himself could create. Cascade and Simcoe hops thrown in "dry" impart an intoxicating aroma. 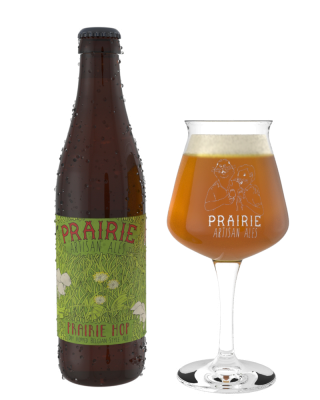 All this - with the help from Pale and wheat malts - combines to form a deep golden-colored beer that will dance on your taste buds and put a pitchfork in your willpower. 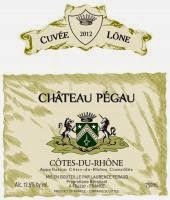 New wines from Chateau Pegau! "A new development for this estate is the roughly 100+ new acres of Cotes du Rhone and Cotes du Rhone Villages that have been purchased just south of Chateauneuf-du-Pape, roughly 4 miles from the domaine....Now called Chateau Pegau, the wines from here include a white Cotes du Rhone, the Cuvee Lone, a red Cotes du Rhone call Cuvee Maclure and a red Cotes du Rhone Villages called Cuvee Setier." Named “Lône” after the small stream that runs next to the estate, parallel to the Rhône (this term is used to describe small offshoots of the Rhône in the Provencal language). Tasting Notes: Offers aromas of acacia, nectarines and pears on the nose, with a touch of exotic fruit. Bright and well-balanced on the palate, with a long finish. Enjoy as an aperitif or with a wide range of fish and shellfish. Order now to reserve and we will contact you tomorrow when it arrives. Our 2010 Alexander Valley Cabernet Sauvignon is a vibrant, elegant expression of this classic appellation from a cooler vintage. It has a deep garnet color and an enticing nose of cassis liqueur, blueberry coulis, tobacco, tarragon and roasting coffee. 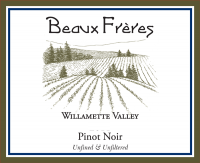 The seamless palate starts with a berry-laden attack, follows with a full-bodied mid-palate, and ends with a long, savory finish with fine-grained, well-integrated tannins. Given proper cellaring, this wine should give drinking pleasure through 2031.